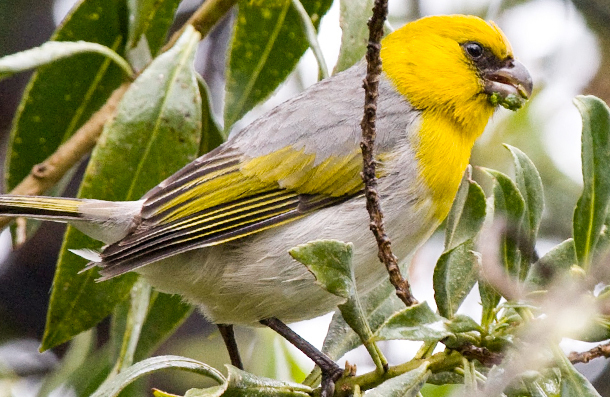 The palila (Loxioides bailleui) is a critically endangered finch-billed species of Hawaiian honeycreeper. It has a golden-yellow head and breast, with a light belly, gray back, and greenish wings and tail. 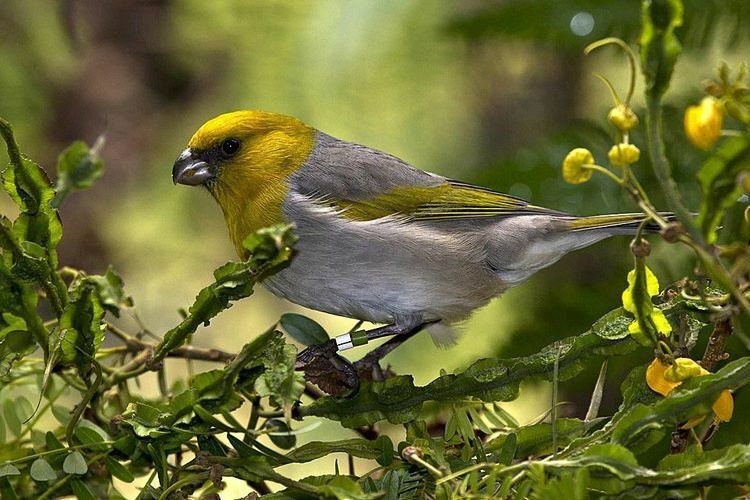 The bird has a close ecological relationship with the māmane tree, and became endangered due to destruction of the trees and accompanying dry forests. The palila has a yellow head and breast, with white to light gray plumage ventrally, medium gray plumage dorsally, and olive-green wings and tail. The bird also has a heavy dark bill with swollen sides, a brown iris, and dark feet with yellowish soles. 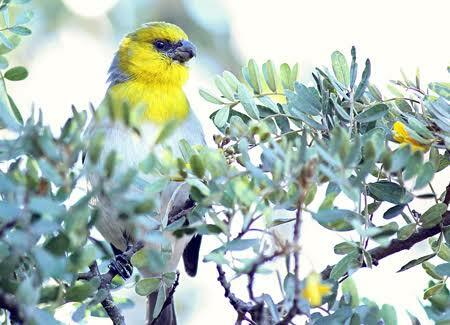 The palila is one of the largest living Hawaiian honeycreepers, measuring around 6–7.5 inches.